party, drink, eat, dress up and spectate your way through 2018 in New Zealand! If you want to experience community vibes during your travels in New Zealand, then a festival or event would be the way to do it! New Zealanders know how to throw a good get-together, whether it’s to share food, drink, captivating cultural performances, music festivals and so much more. Find out what you could be getting up to in New Zealand in 2018 with this guide to the top New Zealand events in 2018! Although we have listed the annual New Zealand events in our New Zealand Calendar, we have picked out some of the New Zealand 2018 highlights and put them into an article below for you. How nice! 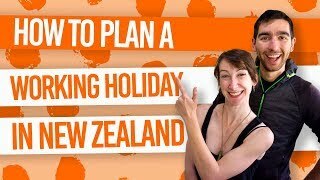 To learn more about special days in New Zealand, check out Public Holidays in New Zealand. Celebrate the cultures of the South Pacific and New Zealand with these cultural events. Be captivated by the Haka, entertained with song and dance, and filled with wonderful food! Summer in New Zealand runs from November to February which means some of the best summer festivals happen around New Year’s Eve and Christmas time. The biggest music festival of the year happens at Rhythm and Vines (29-31 December in Waiohika Estate, Gisborne) or Rhythm and Alps (30-31 December in Cardrona Valley, Wanaka). You have two astonishing settings to choose from, either the mountainous South Island at the Rhythm and Alps or the sunny vineyards right next to the first city in the world (thanks to its location on the international dateline) to see 2018 – Gisborne. New Zealand’s most famous little surf town hosts its own summer festival, Soundsplash (19-21 January in the Wainui Reserve, Raglan) has more than 40 music acts performing across three stages. By being only 500m away from Ngarunui Beach, you can always run out for a surf too! Splore (February 23-25 in Tapapakanga Park, Auckland) is a beach music festival in the beautiful location of Tapapakanga Park. Enjoy an extensive line-up of musical acts and cultural performers. WOMAD (16-18 March in TSB Bowl of Brooklands) stands for World of Music, Arts and Dance so expect great diversity in the North Island’s art hub, New Plymouth. Six stages are set up over three days to bring you energetic performances, workshops and more! For more festivals worth checking out, take a look at 6 Summer Festivals in New Zealand. And if you want to get involved and save on the old festival ticket, check out How to Volunteer at a Festival in New Zealand. As a culturally-diverse country, New Zealand has no lack of cultural events to celebrate! A great way to see what the Polynesian cultures are all about it at Polyfest 2018 (14-17 March at Manukau Sports Bowl, Auckland) in this energetic cultural performance competition. Waitangi Day (6 February) brings Maori cultural events all over the country. Top events include those at the Waitangi Treaty Grounds in the Bay of Islands and Okains Bay in the Banks Penninsula. Similarly, Matariki (15 June) is the start of many curltural celebrations across the country. Find out more in What is Matariki – The Maori New Year. We don’t know what this is, but we’re happy to blame it on the Kiwi culture. Enjoy the wacky events of the mid-winter Russell Birdman (12-16 July) where you can participate or watch people launch themselves into the water from Russell Wharf, do drag queen races, spaghetti-eating competitions, and more. The infamous Marlborough Wine Festival (10 February in the Brancott Vineyard) is where 40 local wineries get together for a huge party and everyone’s invited – all with a touch of class though, because, ya know, it’s wine. Join in for some great music, awesome food and great wine in New Zealand’s largest wine-making region. If you’re working in the region in time for the picking season, then this is an event not to be missed! On the other end of the dining spectrum, the Wildfoods Festival in Hokitika (March 10 at Cass Square) is a Kiwi favourite. There’s heaps of food on offer, the question is do you dare to eat it?! We’re talking huhu grubs, bats, chicken legs and so much more. Otherwise, enjoy fancy dress, cooking demonstration and a pretty wild after party. Wellington on a Plate (11-17 August all over Wellington) is where New Zealand’s cool little capital gets our taste buds watering for a whole two weeks with hundreds of events going on around the city and outer region. New Zealand loves seafood, and you should experience their passion for yourself at the Whitianga Scallops Festival (15 September at The Esplanade). The South Island equivalent is the cool and quirky Kaikoura Seafest (6 October in Takahanga Domain) complete with fancy dress competitions and so much more. We can’t forget the Bluff Oyster Festival (26 May on Lee Street) to taste the deep south’s local cuisine, as well as wild foods. For more foodie experiences in New Zealand, be sure to have a look at our Eating Out section. New Zealand loves a bit of vintage, so much so that they are still flying retro aircraft through the skies! Warbirds Over Wanaka (31 March to Sunday 1 April at Wanaka Airport) is an international airshow with impressive acrobatics, explosions and some blasts from the past. If you want to experience a town back in time, don’t miss Oamaru’s Victorian Fete (18 November in the Victorian Precinct). Put on your finest Victorian attire (because you brought that to New Zealand, didn’t you?) and join in with the locals for a day of crazy competitions, too much food, too much drink and some fun stuff. Finally, we can’t forget the Napier Art Deco Festival (14-18 February). See the city come alive with outfits to match the architecture with parades, air shows, costumes and endless amounts of vintage fun. Otherwise, Napier is a good place to experience all things vintage anyway! 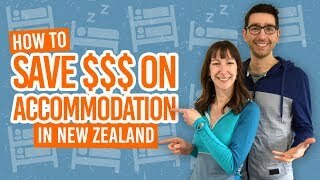 Find out more in Napier – Guide for Backpackers. For the prettiest darn park you ever did see, enjoy New Plymouth’s Festival of Lights (26 December – 5 February in Pukekura Park) with picturesque illuminations and free events happening in the park throughout the summer. Christchurch’s World Buskers Festival (18-28 January, all over Christchurch city) is a mix of free and paid events from music to burlesque to comedy. Most free performances can be found in the Market Square and the Bridge of Remembrance. Auckland’s Music in Parks and Movies in Parks brings a bunch of free gigs and pop-up cinemas across the region’s parks throughout the summer. Check out their websites to see what events happen when. In addition, don’t forget the Silo Cinema also takes place in Silo Park every Friday during summer. Wellington’s Meridian Gardens Magic (9-28 January at the Botanic Gardens) has been a crowd-pleaser for 39 years! Just grab a rug and a group of mates, head to the Botanic Gardens and enjoy some gigs in the garden. What’s more, they take place every night except Mondays. Balloons Over Waikato (21-25 March in Innes Common, Hamilton) is an acclaimed annual event here in New Zealand. See a sky full of hot air balloons, from traditional to the weird and wonderful. Celebrate the start of winter with the Queenstown Winter Festival (21-24 June all over Queenstown). Suitcase sledge races, dog derbies, music, food and fireworks, this festival has something new to offer every year but provides a week of fun before you hit the mountains for skiing. There are a mix of free and paid events. find out more in our Queenstown Winter Festival article. Sevens (3-4 February) has been the biggest sports party event for quite a few years now here in New Zealand and in 2018 it’s taking place in Hamilton. What’s it all about? 16 of the world’s greatest sevens rugby teams come together for some fierce rugby, but that’s not all the entertainment. Crowds will be treated to live performances and get involved themselves with costumes, dancing and a chance to win prizes. There’s a variety of tickets to choose from so you can be there for the whole thing or just turn up fashionably late. If travelling all the way to New Zealand on a gap year wasn’t challenging enough, try doing a marathon or half-marathon in one of the most stunning countries in the world. It seems that every town or city in New Zealand likes a good excuse for a running event, but here are just a few: Queenstown Marathon, Wellington Marathon, Christchurch Marathon, Hawke’s Bay Marathon and Mountain to Surf (New Plymouth).